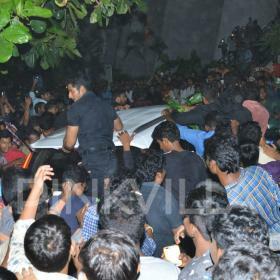 There can be no denying that Vikram is one of the most popular stars in Tamil cinema today. During his highly eventful career, the much-loved superstar has won the love of movie buffs thanks to his charismatic personality, dashing/raw looks and gripping performances. Moreover, he has impressed all and sundry with his positive attitude and humble nature. Now, the 50-year-old star is in the limelight once again and that too for a wonderful reason. As it so happens, a photo from the sets of his eagerly-awaited ‘Dhruva Natchathiram’ is going viral on the social media and making us curious about the film. 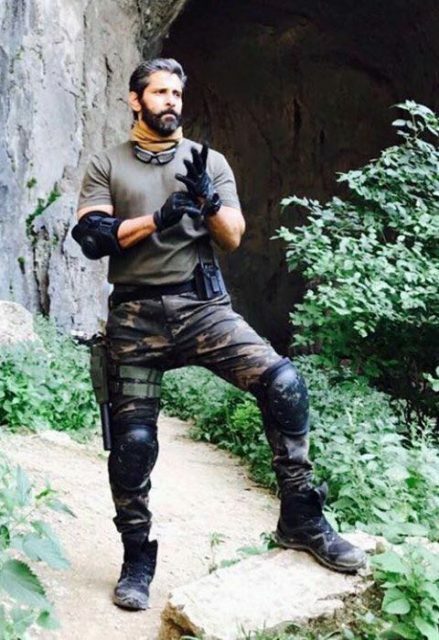 In the pic, Vikram can be seen sporting a salt and pepper look and gearing up for combat. Needless to say, he looks quite macho here and proves that he is still one of the most desirable/handsome stars in K-town. That’s how you make an impact. In case you did not know, ‘Dhruva Natchathiram’is touted to be a spy-thriller and has been directed by Gautham Vasudev Menon. Besides Vikram, it also features ‘Kaaka Muttai’ fame star Aishwarya Rajesh in the lead. The cast and crew are currently shooting in Europe. On a related note, this is a busy time for Vikram. In addition to ‘Dhruva Natchathiram’, he has Sketch in his kitty. Touted to be an action-drama, it also features Tamannaah in the lead. 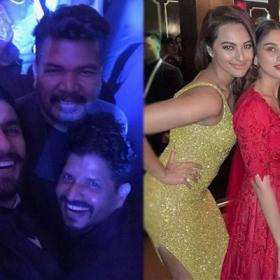 Interestingly, the star was last seen in the 2016 release ‘Iru Mugan’ A pulsation sci-fi action drama, it did pretty well at the box office and received rave reviews along the way. So, are you looking forward to ‘Dhruva Natchathiram’? Comments, please!